An English Teacher's "Happy Ending"
Only Child Advantages: Sole heir. Bigger portions of ice cream and lasagna. Only Child Disadvantages: Catch 100% parental guilt, anger, frustrations. Get less toys because if you had brothers and sisters there would be less money and you would have to share anyway. 100% of parental hounding. Limited exposure to cousins or neighbor’s children so you don’t lose focus on being alone. Get all stuffed animals confiscated because some author said having imaginary or stuffed animals as friends and siblings leads to “complications” in adult life. Have parents and God in your face every waking moment . Get condescending sympathy from other adults due to your “condition.” Expected to be able to read/understand John Calvin, Newton’s physics, six languages and the harpsichord by 2 1/2 years old. Signed CD, only child. Crap Carl, that’s a lot of disadvantages. I was hoping you’d say only children all become rock stars. Love the logic of children, “Monkey is right there. He’s fine.” – so many “Duh”-moments in a parent’s life, eh? I have only the one 13 year old girl child who seems to be doing spectacularly in her role as a human being! No plans for a number two – in fact even when she was young and I might have considered it, I had decided, with all the ‘bad’ news about 2nd children, I was going to skip the second child and go right for the third child. You betcha! He’s just fine. Tough luck for mommy and daddy goldfish. They were probably bigger oxygen consumers since they were older. Greaty story. Any child with great parents is blessed, whether he has siblings or not. And vice versa. 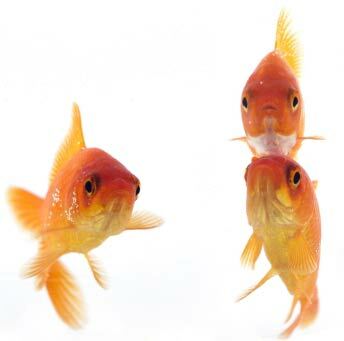 You know how to make this mommy goldfish feel orange and googly-eyed, right down to my gills. I also have one – an 18+ year old daughter. While that’s not what we had planned when we got married almost 25 years ago, it’s the way it worked out. Am I sorry I have an “only?” No way! I have an amazing daughter and although at times she wanted a sibling, we are a happy family of three. I think if you asked her, she loves being an only child most of the time but would love, sometimes, to have a sibling to deflect the 100% parental involvement and hounding, as Carl so eloquently put it. Our daughter is funny, talented, a good friend, and all-around a caring young lady. She hasn’t suffered from being an “only” in any way that I can tell. Maybe – still up in the air. She might be a flute star, rather than a rock star. Does that count? 😉 And maybe your monkey will be a fencing star, or a science star or something-else star and that would be good too! This is a tough question for me to answer yet, it explains a lot about this human. I am my parent’s second child but I am a first born. I am 2nd in a family consisting of 5 children and two parents. Oddly enough 4 of us are first born children if you look at “birth” from that moment. I look at my own blended family of 5 children (yeah I inherited a couple) we have 2 first born children in our group. His oldest son and my oldest son. Due to age the “birth order” of our children has kept the hierarchy of the family somewhat clear. However, we have 2 middle children and 2 last born children too. Freakish eh? Each of these wonderful individuals displays traits of the birth order as well as their order in the family hierarchy. The oldest and familial #1 is driven, the youngest or last born children are both rather spoiled. They are also are girls so this could be my view but other’s claim to see it. It isn’t just me. Our 2 middle children and their “syndrome” could rear their ugly sides easily. While my 1st born and the familial #4 appears very laid back but that drive feature pops up when he wants it to. My siblings and I fell right into our places and have behaved according to the birth order stigma we were raised with. None of us would opt to lose a sibling. They all have their purposes in our lives. I think singletons are awesome as long as parents encourage close friendships with cousins and classmates where appropriate. Aha! “In the stars.” So if I am hearing you correctly, you are saying Monkey will be a “star.” There it is. Thank you, Heather. My father liked my sister a whole lot more. Now that I am in the winter of life I have to agree my father was right. But mostly I love the way you write. Steve, you are a hoot. Plus you are a TWIN. I want to hear more about twins. Did you have a secret language? Is she feisty, like you are? I’m the oldest of 2, with 2 of my own. I definitely see a lot of parallels between my oldest “Munchie” and me. Let’s face it, the oldest is an experiment. The oldest gets whatever teacher they get. The youngest gets whatever teacher is going to do the best with him/her. The oldest is expected to grow up (thankfully it didn’t work for me…). The youngest is allowed to do their own thing at their own pace. The oldest is expected to look out for the youngest. The oldest has to eat whatever is on their plate, the youngest can eat whatever because he’s picky. I can go on forever with this. My wife is an only child and the oldest. Her parents divorced when she was 3. Her dad remarried and has 3 girls (who all have the oldest, middle, and youngest child syndrome). She lived with her mom for the most part and was the only child besides her cousin (also an only child). She definitely grew up VERY differently from how I grew up. She’s more pragmatic, I’m idealistic. Looking back, I don’t think I’d change a thing. Yes, I’d like to have a different 6th grade math teacher, a different English teacher my junior year of high school (who incidentally LOVED my younger brother), etc. Those are just minor things. Looking back at the whole of it, I’m much happier being the oldest. I still think my parents like my brother better than me. Yes, I said like. I know they love us both the same. It’s like I recently told my oldest when she stated that I liked her. “No I don’t. I love you. I don’t have to like you. Right now, you are annoying the crap out of me, so no, I don’t like you. I do and will always love you, however.” She thought about this for a second, shrugged her shoulders, and said, “I love you too Daddy”. She gets me. It’s an oldest sibling thing. My parents love my brother more way than they love me. I’m the oldest. I’m the rebel — the demon seed. I was naughty. And spoiled rotten. Is that a first child thing? Monkey gets nothing and likes it. Well, he has nothing to compare it to. 😉 Currently, he is very obedient. I’ll keep you posted. I believe you’re on to something. I wasn’t ever spoiled rotten, but I was (and am) the rebel, the demon seed. I am an only child. I used to complain a lot about living in a fish bowl – really! My parents always knew everything I did and everywhere I went. But I survived and wish they were still here to share my life. Hindsight is always very clear. Enjoy the moment. Gee, RASJ, I know you’ll be thrilled to hear that the aweseomeness I proudly bear is the result of being an only child. And yeah, please don’t believe the hype — I can’t tell how how many times I’ve been told “Oh, you don’t act like an only child” (i.e. spoiled and demanding). I mean, come on! I love being comfortable with my own company; I can entertain myself and never expect anyone else to do it for me; and yeah, I tell you, having undisturbed focus is a real boon in the real world. Only bad thing, which Carl has also alluded to: as you become an adult the burden of parental care is all on you — but then again, as financial planners and real life has taught me, merely having siblings is not guarantee they’ll help out, either. I am not at all surprised to learn you are a one and only. But you are right, Monkey will have to take care of us as we become old and awful. That said, he might just try to stuff us down the toilet and flush. I think you’re spot on. The number of children don’t matter. It’s how they are raised. But I do think, however, that there is in fact a stronger chance of codependent behaviors in only children. From what I’ve seen, that is. But again, that is ultimately up to the parents. If they raise them right, that shouldn’t be an issue. I am the second of four kids. And the birth order has affected me. I think because my parents had an awful marriage, and my older sister and I were simply raised differently than my younger brothers. We were raised by my mother, who taught us to value work, productivity, et al. Father was around, and when he was, he was a dictatorial tyrant. After my parent’s split, my brothers were raised by both of them, separately: my father, immersed in guilt, did everything he could to buy back their love. My mother, in trying to combat said spoiling, in a sense did the same. Monkey does hate when Hubby and I argue. He is the peacemaker. You are probably right; the family dynamic probably has more to do with the way a person turns out than anything else. Ha. The Brady Bunch is a good point. I am the youngest of three. That’s right, I’m the baby, blessed in all I do. My sister’s still complain. As you know I have 5 (3 bio/2 step) so it’s similar to Heather, there is birth order and family order. The boys are different beings but the girls are text book birth order siblings (although 2 are bio, and 1 is step) so go figure? I know with my own siblings I’m the oldest, but if you knew us now, you would think I’m the youngest. My brother and sister though, have such typical characteristics of their birth order. So…I don’t know? It’s like if you look at your horoscope, I’m an Aquarius but don’t have all the Aquarius qualities, I see other signs as well. Nurture vs. Nature. So, I agree with who ever said if Monkey has great, loving parents and is raised in a secure loving environment and is exposed to many friends and cousins he’ll be just fine! Just because you have blood relations too doesn’t mean everything is wonderful either….okay, I’m going to stop rambling….I could gone on forever about this topic 😀 Bottom line-He’s good! I told you: the kid is all right. Mine are so far spaced that they both are likely to feel like only children. Oldest was 12 by the time he had a sibling (and beyond the point he wanted one!). Youngest will only be starting kindergarten when oldest leaves the nest so they’ll both have spent the bulk of their childhoods as only children. That said, my husband acts like the bad definition of only child syndrome most of the time, but he had 2 sisters. I think it’s less likely a result of the number of sibs (or lack thereof) than just a person’s personality! On an up-note, can your oldest now babysit for your youngest – even for a little while? Because that would be a major perk to having spaced out your two only children. I didn’t mean to imply that your children were spaced out. I love teaching only children. I do. Yes, I’m using a broad brush to generalize. Because my data sample of a few kids is statistically valid. Okay, maybe not. But I still love teaching them. Have you read Franzen’s “Freedom”? Just wondering. Not so much regarding only children, but there’s a character preoccupied with overpopulation. By the way, I’m an only mother. Not sure what that means, though. I’m glad you are an only mother. Great read – thanks. I’m Dad to an only child – if anything we overcompensate with lots of playdates and friends and I have to say I love the way our five y/o daughter is growing up and wonder if it’s partly ‘cos she gets our undivided attention. Oooh, I like that goldfish story. And boredom leads to creativity. My wife and I are both the youngest of our siblings. We’re both very happy with that. We got to see our older siblings marry and parent before us. We got to see what worked and what didn’t. By the time we met, married and had kids, we were pretty well educated about stuff like that. Experience is a great teacher, especially when the experience is from someone else! Larry, so what I’m hearing you say – if I’m hearing you correctly, is that both you and your wife are bitter that you were not only children. I am the older of two (I have a brother 3 years younger). I grew up playing with him and two neighbour boys. I took advantage of being the oldest by forcing the boys to perform back yard plays that I wrote. I have three girls (the oldest has her own house and child now), and two stepchildren who live with us half the time…the bickering and jealousy among the teenagers is insane! My brother’s almost 17-year-old daughter is an only child, and has turned out pretty well. She has always seemed more mature than my kids, although they are more streetwise because my niece has never lived in a bad neighbourhood. I will take it on faith that most only children grow up to be well-adjusted individuals. And can I just say that I, too, forced others to 1) perform backyard plays, 2) perform very bad songs that I wrote, 3) “play school” where I actually made tape recordings where I adopted a ridiculous accent and said things like “Press stop now to do your work. When you are finished, press play to continue your adventure.” My brother was a very good student and completed all assigned math worksheets. He must have thought they were fun because he went the math/science route. I guess I’ve always been a teacher. As the parent of an only (adopted) child, I have to agree that one is fine and she’s a typical college sophomore, very outgoing and terrific grades. We were fortunate to have had 4 cousins in the family that were the same age, so she had a great time growing up with them. Lots of friends, also. The view that only children are “strange”, or whatever, is very antiquated but people sometimes say rude things, like asking questions about my child’s birth parents. Do you come up with snarky answers? I figure ask an obnoxious question, get an obnoxious answer. You need a good response. Let me give it a go. Well-Meaning-Friend: Does your daughter want to meet her birth parents? It’s not all sunshine and roses with a sibling around! I’m the oldest of 4, but none of us is close and, to be honest, I consider my closest friends nearly sisters anyway. Your take on this topic, and the link to the research is encouraging to me. I’ve put off having children so long, I may only have time for one anyway. Being an only child means being the only person that my parents have to shop for. See, now this makes me look spoiled, and I’m not. It’s really only been since I have been in college that these Nordstrom trips have happened. The rest of my life I have had to pay for all of my own clothes “to learn the value of money.” Now that I’m a poor college student, I truly understand the value of money, and the trips to Nordstrom are so much more fun and exciting because I get to have my mom all to myself. So are you saying when my son comes home from college in about ten years, he is going to suddenly love to go shopping? That would be awesome! Wait, what if we don’t have a Nordstroms’ nearby? Do you think he will be willing to settle for Old Navy? 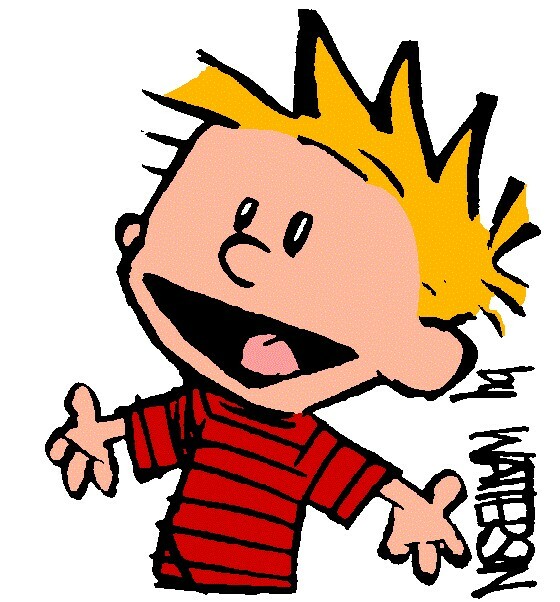 You had me at Calvin…. I was “the middle child” of 3 girls for 7 years, and then came the twin boys–so I’m 2nd oldest of 5. We were, in a way, 2 separate families because we had such different interests–when we older ones were ready for carnivals and the like, the younger were stroller-bound. When THEY were ready, we older ones were dating and going off to college. We older ones did do a lot of babysitting, and our sisters-in-law have thanked us for preparing our brothers so thoroughly to be husbands (they learned a lot from our dating trials and tribulations). I am close with my younger sister and one brother, and the others–we have our ups and downs…We all drive one another crazy, but it’s nice to have extra hands to hold during a crisis! Three of us have kids (all 1-and-1), so we’re “lucky” that way. The other two have chosen “no kids,” and are perfectly content. I missed this until today! I don’t know how! Good to know everyone is happy and that you have each other when it counts. Monkey has had to learn to depend on himself, which is a tough pill for this mama to swallow. Luckily, he is developing a knack for finding great friends, so hopefully he will build some lifelong bonds with people who will support him during difficult times. 3 year old logic is fantastic! Thanks for sharing even though I plan to have a second child, I fully believe that the family (siblings or not) goes way beyond the “nuclear family” of the 1950s to include friends, neighbors, cousins, etc.. These relationships can be more important that that with a sibling in the long run and essential to a person’s development. Monkey is lucky to have such a loving mother! Ha! They look just like my three Steves! It’s funny that people just flat out ask you when you are going to have another child, like it’s a given thing. I don’t have any kids and people still ask me all the time if I’m going to have any. No. I am not. Get over it people. No matter what your personal decision is, there will be those people that think you are making a mistake. You can’t win. I love the “three Steves”! Hilarious!